In the world of weighing scales, there are “regular” scales, and there are “smart” scales. 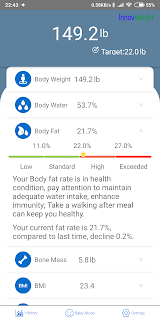 After doing some research, I narrowed down my choices to the Xiaiomi Smart Body scale and the InnovWeight Smart Scale. And as much as I wanted to get the Xiaomi, it was out of stock. 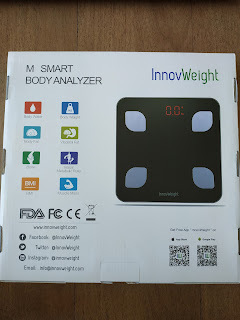 My decision was made easier when Lazada had a one-day sale for the InnovWeight which I got for just Php880 (US$17). So now let’s see what added benefits (if any) are in store, in using another smart device. 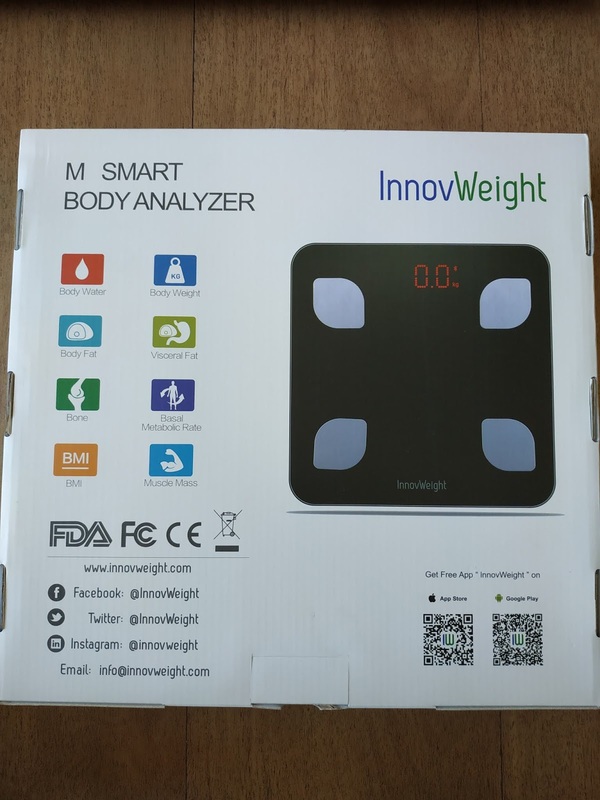 Measures 8 key health parameters: body weight, body fat, BMI, muscle mass, visceral fat, basal metabolic rate, body water, and bone mass . Wirelessly transmits data to smartphone's (via Bluetooth) InnovWeight app in just seconds. 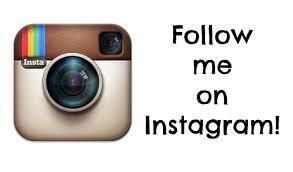 Simply step on the scale to turn it on and start the measurements. The app can store data up to 10users. 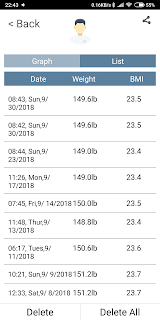 Data can be viewed in graph or list mode. Maximum load capacity of 150 kg (330 lb). Compatible with the latest iOS and Android smartphones. 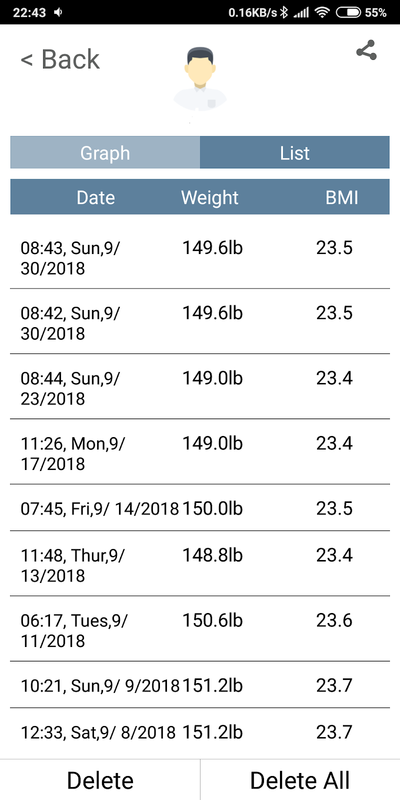 The real question is, what benefits does a smart scale have over a regular scale? It all boils down to the App. 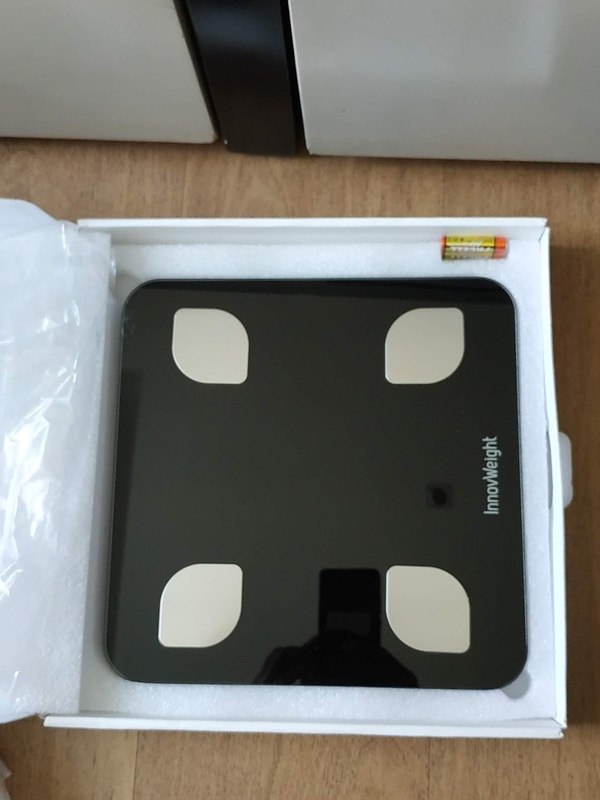 Since any scale can give you your weight, a smart scale can give you a lot of data relating to your weight. By passing an electrical signal through your body, the scale can get your weight, body fat, BMI, mass, and more. Of course, all that information is useless unless you have a way to interpret it. 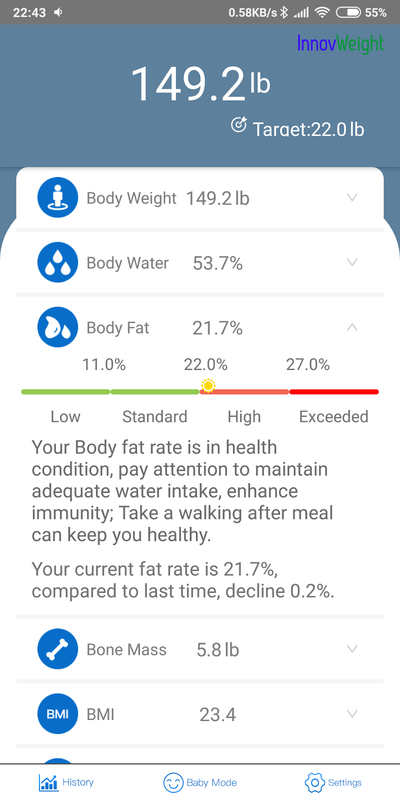 Through the InnovWeight app, you can see what that data means and also gives some suggestions on how to improve your health. For example, if your Visceral Fat is high, it suggests that you should be wary of fatty liver. It also suggests a healthier lifestyle by not staying up late and taking daily walks. Having all that information presented to you is quite an eye opener especially if you’re planning to lose weight or even just for someone wanting to have a healthier lifestyle. The decision to get this scale was very easy. With over 400 five-star ratings on Lazada, it is a very effective and affordable way to maintain a healthy life.